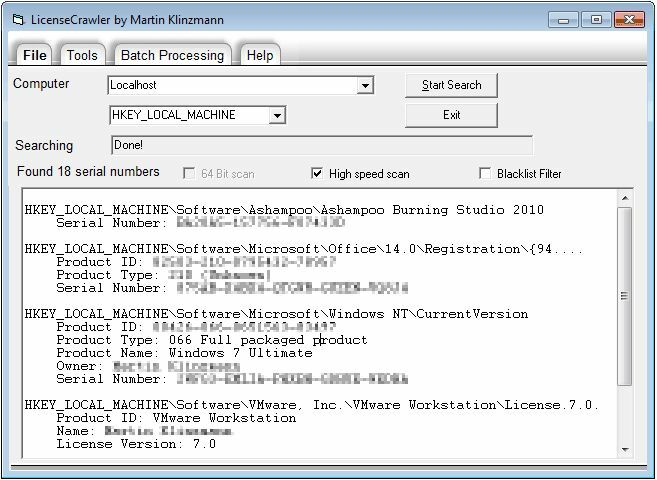 LicenseCrawler is a freeware utility from Martin Klinzmann that scans through the Windows registry, extracting license key and serial number information. The license information includes that of popular Microsoft products, such as Office, as well as Nero, VMWare and a whole host of other popular applications. This tool can be a godsend if you lost the serial / license information you were sent when you purchased software. It can also save you the time of going through paperwork and e-mails trying to find license information. The tool is portable and will run on any version of Windows since Windows 95.